Bring your sweetie to this Valentine's themed benefit at the Camp Perry Conference Center. You'll enjoy dinner catered by Ole Zim's followed by an evening of auctions, raffles, and games in this gorgeous facility located on the shore of Lake Erie. Tickets are $35 through January 31, 2018 and cover admission, dinner, and a donation to Friends of Ottawa NWR. After that date, tickets will be sold for $50 each. Special thanks to the following individuals and businesses who donated their wares and services to our fundraising efforts, these items will be available to bid on at Love your Refuge during the Silent Auction or available to win during a game. 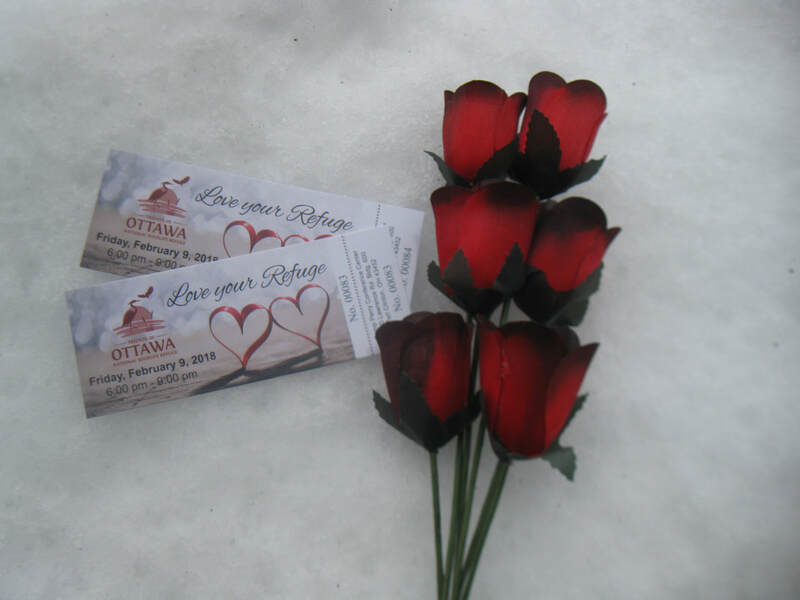 100% of proceeds benefit Friends of Ottawa National Wildlife Refuge.